(Bloomberg) -- Amy Lo manages money for some of the richest people in China. She has an expanding clientele, as new billionaires turn up weekly in China. Lo in January started co-managing UBS Group AG’s private banking business in the world’s fastest-growing region for wealth, after working at the Swiss bank for more than two decades. UBS and its rivals are counting on Asia’s wealthiest to boost profitability as the financial companies face difficult markets elsewhere in the world. And increasingly, Asian women like Lo are heading these crucial efforts in China and Hong Kong. Just five or 10 years ago, Lo’s ascension to the top private banking job for a major European firm would have grabbed attention in the region as most of those roles were filled by expatriate men sent in from headquarters. Today she has plenty of company. In Hong Kong, a major hub for wealthy Chinese investors, 50 percent of private bankers with a managing director title are women, according to executive-recruiting firm Korn Ferry. In the rest of Asia, the ratio is lower than 30 percent. Meanwhile, in Europe, where private banking originated, women hold only about 10 percent of the top roles. Wealth management is a business area where global banks including UBS, JPMorgan Chase & Co. and HSBC Holding Plc, facing greater scrutiny as to gender diversity, have added more women. And the banks have recognized that in this market local language skills and local knowledge regarding taxation, transfer of wealth and related issues make them more valuable to clients than someone flown in from headquarters. While this shift partly stems from a desire to meet diversity goals, it’s also a response to the astounding wealth in the region and the need for wealth managers that make Chinese clients -- and increasingly Chinese women clients -- feel comfortable. Clients and banks say that the women bankers have skills required by high-net worth clients who often demand a great deal of attention. China has two new billionaires a week, according to a UBS/PwC report published last year, while the number of female billionaires in Asia has risen more than 20 times since 2005, accounting for 8 percent of all billionaires in the region in 2017. Meanwhile, the overall number of billionaires in Asia is estimated to rise by 27 percent to 1,003 by 2023, making up more than a third of the world’s total, according to Knight Frank LLP. His experience illustrates how common private female bankers have become in Hong Kong -- all of his relationship managers with four private banks are women, said Tsang, who has been working with private banks for 10 years in his role as treasurer for charitable groups. Meeting diversity goals is part of the push, certainly. Global banks have been setting gender diversity targets to rectify past practices in which women were often paid less than men and promoted much less frequently. Credit Suisse Group AG, Citigroup Inc. and Julius Baer Group Ltd. are among firms that have been promoting more female private bankers to senior levels in Asia over the past five years, according to data compiled by Bloomberg. 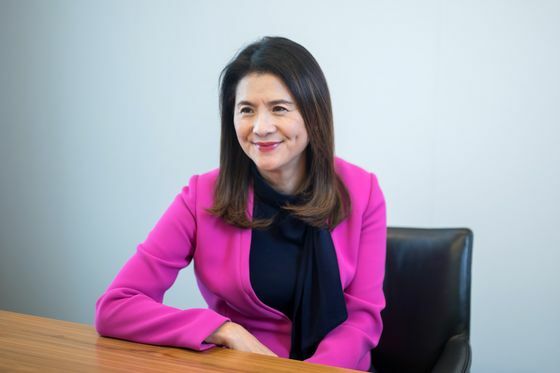 Before reaching the top regional position, Lo proved her worth by leading two of UBS’s most important wealth businesses: ultra-high-net-worth in Asia and in greater China. She’s also been bolstering the bank’s position in Hong Kong by setting up an office outside the city’s central business district to serve those wealthy clients. Besides managing the wealth business in North Asia for Switzerland’s largest bank, Lo has been a founding member of the bank’s global diversity council. At UBS, more than 40 percent of Asia-based wealth management staff -- with a managing director title and higher -- are women, doubling the proportion globally across businesses. Lo said she’s not surprised about the ascension of so many women into the wealth management role and thinks it has been evolving, especially in Asia. Kwang, who joined JPMorgan in 1998, became Asia chief executive of its private bank two years ago. 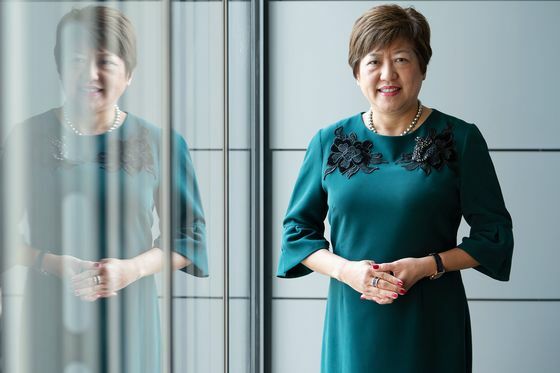 She has been the company’s senior country officer for Hong Kong, sitting on the city’s banking advisory committee, and oversaw the bank’s business in Singapore -- another major wealth hub in Asia. Kwang said she has been treated mostly equally to men during her career. Yet she recalls an instance about 15 years ago when a prospect in Southeast Asia told her he’d never dealt with a woman banker. While she said the New York-based firm gives equal opportunities to both women and men, it could do a better job in achieving a balance. The female-to-male staff ratio within her division drops from 50 percent at the junior level to 40 percent at the managing director level, she said, though Asia is ahead in that regard. Tan doesn’t like to stay in one role very long. Before taking the helm of HSBC’s Asia private banking business in 2017, she worked across the lender’s corporate and commercial businesses in the region. Her advice: Let your boss know of your aspirations and have constant conversations. Tan, who started with HSBC in Singapore in 2004, has shown how one can move up by working across different businesses. She’s led the London-based bank’s business in Mauritius and Thailand, and worked as Asia’s head of trade and receivables finance in Hong Kong. Now, her private banking business is ahead on gender diversity. Within Tan’s division, 42 percent of senior executives are women, beating the 30 percent group target for 2020 set by Chief Executive John Flint. Tan said managers have come to realize that they have to look beyond the obvious in promoting people within the company.